Forgotten gem from the French noise rock scene, already released back in 1998! 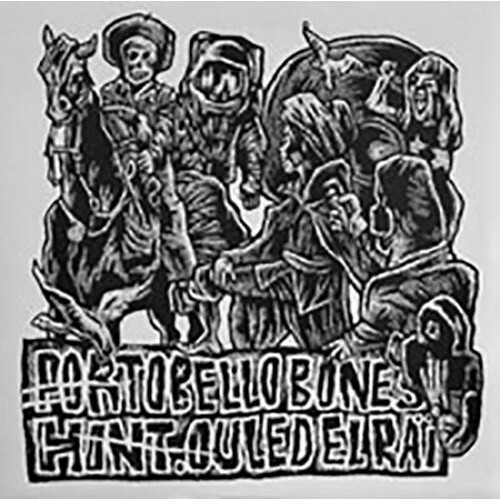 This 10" is a live recording with Portobello Bones, Hint and Ouled el Raï collaborating with each other in various formations. First off, Portobello Bones and Hint join forces to perform cover songs by Born Against, Distorted Pony and Unsane. For the remaining three songs, all three bands collaborate together. The performances were recorded live in Blois, France on April 5th, 1997. Transparent vinyl in black/white sleeve.